Headlines, Jesus Christ, political rhetoric, family photographs and memories, technology and communication — these are some of the inspirations behind works created by UT Art Department faculty members. Barry Whittaker’s “Idolatry” displays different images that change with the music. Check out the faculty exhibition that is on display through Friday, Feb. 10, in the Center for the Visual Arts Gallery on UT’s Toledo Museum of Art Campus. Creations by Chris Burnett, Jerod Christy, Debra Davis, Phil Hazard, Daniel Hernandez, Thomas Lingeman, Barbara WF Miner, Deborah Orloff, Mysoon Rizk, Karen Roderick-Lingeman, Arturo Rodriguez, Barry Whittaker and Eric Zeigler are in the spotlight. A reception with the artists will be held Friday, Jan. 27, from 6 to 8 p.m. in the Center for the Visual Arts Gallery. In addition, several faculty members will discuss their creative processes Saturday, Feb. 4, at 2 p.m. in the Toledo Museum of Art Little Theater. Those scheduled to speak are Lingeman, Miner, Orloff, Rodriguez, Whittaker and Zeigler. “It’s always fascinating to hear artists discuss what leads to their creations,” Carpenter said. 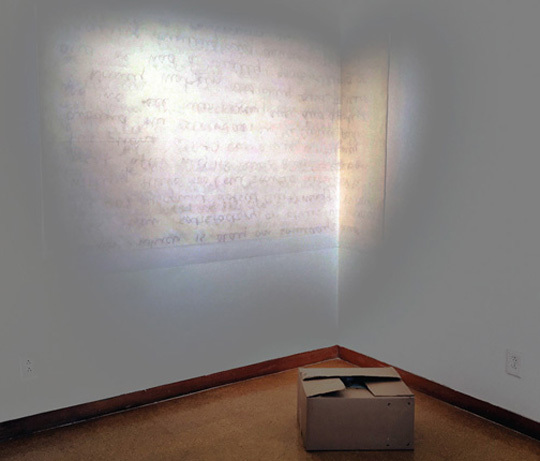 An installation titled “Threads” by Deborah Orloff features a color photograph on vinyl and a carton of old letters, photographs and slides. “Family photographs provide glimpses of the past and elicit memories, shaping narratives of personal history and identity,” she said. “Pictures reinforce recollections, but do we really remember our past, or have we simply absorbed personal photographs into fabricated memories and shaped our perspective accordingly? 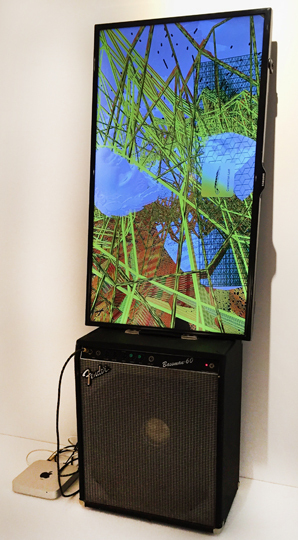 Whittaker will discuss his work titled “Idolatry,” a screen that sits atop an amplifier and shows images that change with the music. The free, public exhibit can be seen Monday through Saturday from 9 a.m. to 9 p.m. and Sunday from 10 a.m. to 9 p.m.
For more information on the exhibition or lectures, contact Carpenter at brian.carpenter@utoledo.edu. This entry was posted on Wednesday, January 25th, 2017 at 3:57 am and is filed under Arts, Arts and Letters, Events, UToday .